An Audience With David Barry & Peter Cleall – A “Please Sir Reunion”. 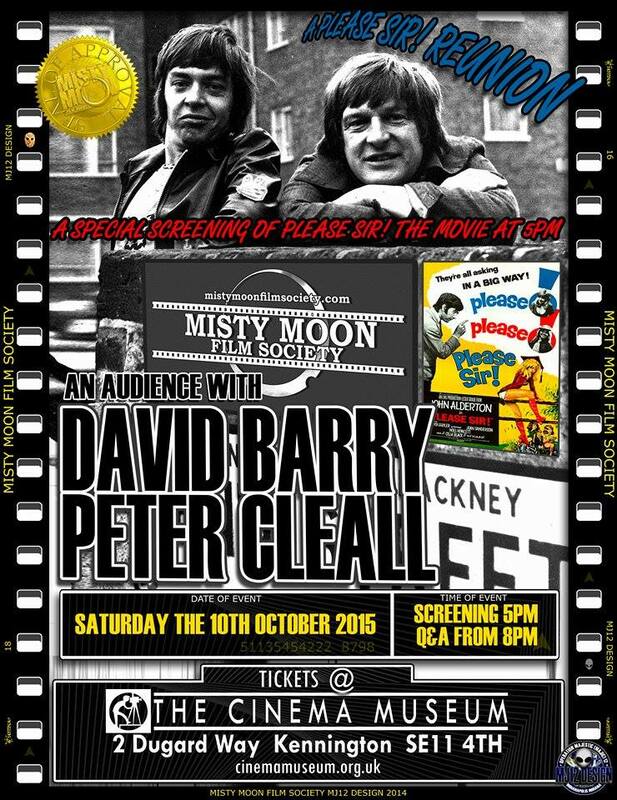 The Misty Moon Film Society is proud to announce An Audience With David Barry & Peter Cleall – A “Please Sir Reunion” at the Cinema Museum on Saturday the 10th October 2015. David played “Mummy’s little soldier” Frankie Abbott & Peter played Duffy in “Please Sir!” & “The Fenn Street Gang”. There will also be a special screening of “Please Sir! The Movie” at 5pm & then the main event will start at 8pm with Chris Collins hosting the Q&A. For tickets for both the screening and the Q&A click the links below.